Ramon (Dani Rovira), father of thirtysomething family lives for work until your body begins to fail. Diagnosed with multiple sclerosis, all forecasts suggest that in a year will not be able to walk or 100 meters. Ramon then decides to stand up to life participating in the toughest sporting event on the planet. 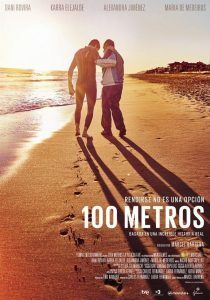 With the help of his wife (Alexandra Jiménez) and his grumpy father (Karra Elejalde), Ramon starts a peculiar training which will fight against its limitations, showing the world that giving up is never an option … Biopic about Ramón Arroyo a young man diagnosed with sclerosis who told him not to be able to walk or 100 meters.